Order your Crane Embossed Beach Glass Notes 10/Pk today from FahrneysPens.com. Fine Pens, Refills & Luxurious Gifts – great prices & fast shipping. 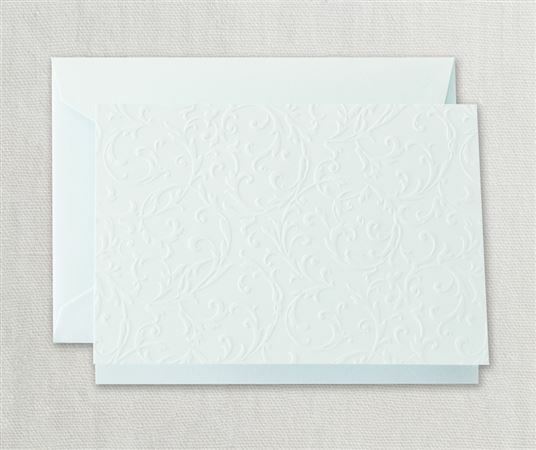 The understated elegance of blind embossing paired with a swirling scroll motif, our pearl white note lends a sincerity to your correspondence as pure as the driven snow. Blank inside, each note is paired with a matching pearl white envelope.